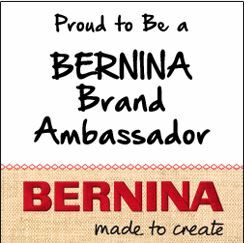 Inquiring minds want to know what’s new, what’s different, what’s interesting, and generally speaking, what’s up! On this page you’ll find fun gadget suggestions, organizational ideas, time-saving tidbits, or useless trivia to make your sewing time more fun. What about those storage bins? 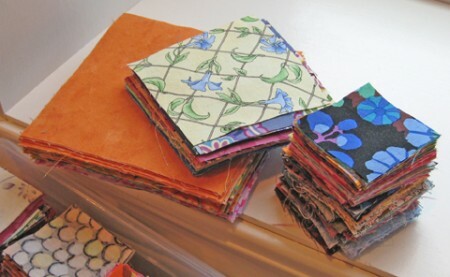 Once you start accumulating piles of neatly cut up scraps, you’ll want to store them so you can find them easily. Purchase shoe-box sized storage bins at your local quilt shop, hobby store, or office supply store. The bins I like best are from Iris. They are just the right size, have a square, stable bottom, they are stackable, and are made of clear see-through plastic, so you can see the colors easily. Some folks may say that storing fabric in a plastic container isn’t good for the fabric. And I agree! However, the plan is to store the fabric for the short term until you can USE it in a quilt. Ideally, your fabric scraps, if used consistently, will rotate in and out of the bins quickly, on their way to your next quilt project! Before you go searching for your something borrowed and something blue, don’t fret, nobody’s getting married! 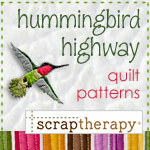 But you may have noticed some changes to th e ScrapTherapy logo on patterns here on this website. Not to worry, the ScrapTherapy concept hasn’t changed one bit. It just has a fresh look.